Medford:ANDREW O’BRIEN, IV, APPOINTED NEW ASSISTANT PRINCIPAL AT ROBERTS ELEMENTARY SCHOOL! Superintendent Roy Belson has announced the appointment of Mr. Andrew M. O’Brien, IV, to the position of Assistant Principal of the Roberts Elementary School. Mr. O’Brien is a Medford resident and holds a Bachelor of Arts Degree from Tufts University; a Master’s Degree in Urban Education from Simmons College, as well as, a Certificate of Advanced Graduate Study from Simmons College. Mr. O’Brien was a teacher in the Chelsea Public Schools for four years and then became a Dean, Assistant Principal and Principal in the Chelsea Public Schools from 2004-2016. He is SEI endorsed for ELL instruction and leadership. 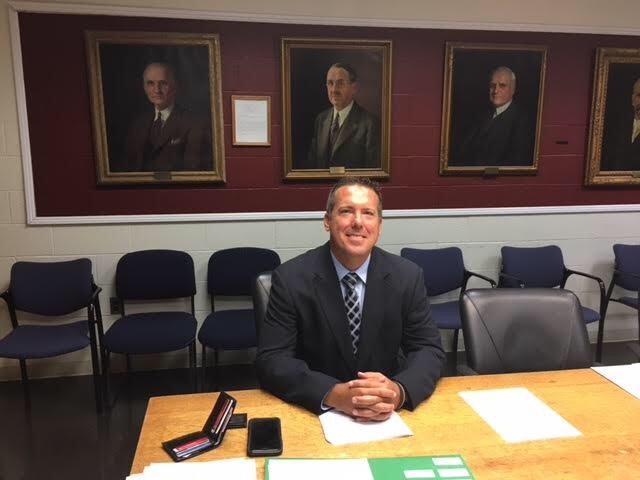 “Andrew has extensive experience in multiple areas and comes highly recommended by the Superintendent and staff of the Chelsea Public Schools. We are proud to have him join our team”, said Superintendent Belson. NATIONAL SCHOOL BOARD JOURNALS HIGHLIGHTS MEDFORD IN BEST PRACTICES FOR SCHOOL SAFETY!